Two groups that are reminiscent of each other in both their earlier years of music as well as their edgy and roaring sound today, Breathe Carolina are skating into 2019 with a vamped up remix of Cash Cash’s “Call You” featuring lead singer, Nasri of MAGIC! Breathe Carolina’s start in pop-punk roots and songs such as “Blackout,” and “Hit And Run” coincide quite well with Cash Cash’s similar electro and punk style of inception tracks like “Concerta” and “Party In Your Bedroom” (holy throwback). 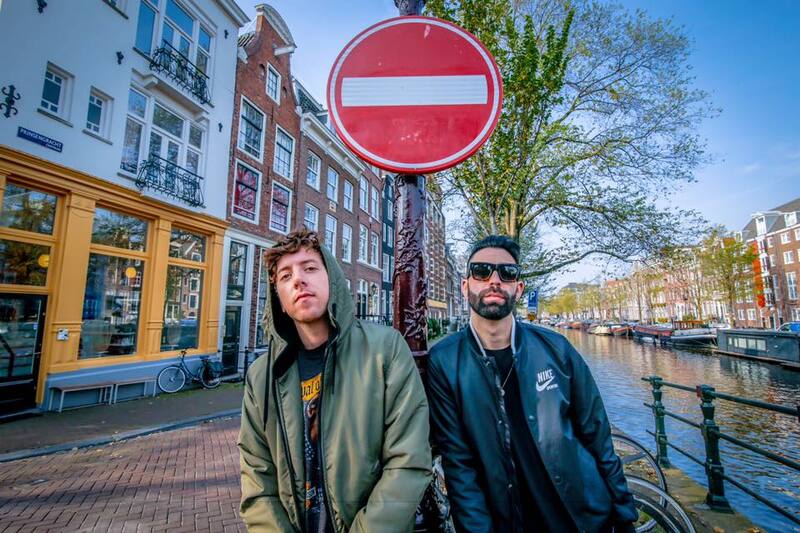 Cash Cash has become a beloved trio of electronic music, producing melodious records time and time again. Spinning their lively twists and staple anthems around the world, these guys have proved unstoppable in sonic potential. Tommy Cooperman and David Schmitt of Breathe Carolina have gone above and beyond in taking on electronic dance music, throwing down some of the most adrenalizing club and festival shows fans could ever ask for. Their music gets bigger and better every year, and we can’t wait to see what 2019 has in store for the dynamic duo. While Cash Cash’s original track flows with soft tones and echoes harmonious instrumentals alongside the distinctly smooth vocals by Nasri, David and Tommy have dished out their powerful sound in this fresh version. Although the song officially dropped today, fans should be no stranger to Breathe Carolina teasing this one throughout their slew of tour stops and festival performances in 2018. This time around, “Call You” builds up with steady endurance, then drops on a heavy-hitting note, taking the original to next level hype. If there’s one thing Breathe Carolina didn’t miss in their take on “Call You,” it’s the ever-emotive presence the song puts forth, making it all the more of an ideal puzzle piece interpretation that’s ready to hit the ground running.